We’re working on a new CNC machine, a 4’x8′ CNC plasma table. This post is more for our own personal use while we piece together our design, but it’s also here for anyone else to use as well. It will be updated as the project progresses. Rack and pinion for X and Y axis (ACME could be used, but is less favorable due to “screw-whip” issues at higher speeds, makes it impractical). Read here. 4-axis system will be needed since Y-axis requires 2 motors (one per side). 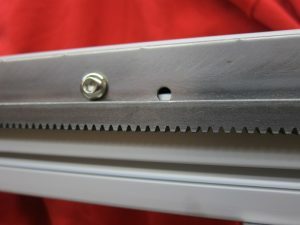 Belt drive with 3:1 reduction, increases torque, increases resolution, and with a 1″ gear this keeps 2 teeth on rack at all times reducing backlash. Read here. Z-axis will need ACME type system since R&P can’t reasonably hold Z-axis from falling. 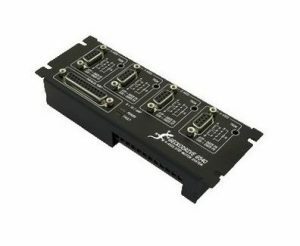 V-Rail and/or linear rail for guide. Travel: Z-axis 7″ or so. 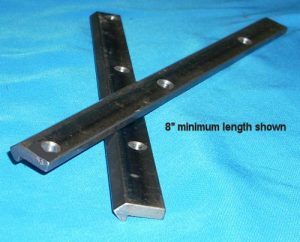 Gantry 4″ clearance. 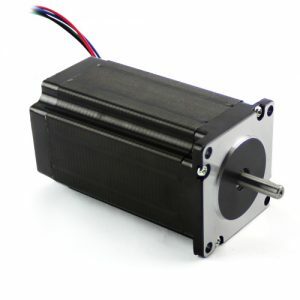 Stepper motors: size will need to be calculated once gantry is designed and weight is determined (so we know how much mass that needs to be moved around). Water level should be about 1/2″ below bottom of material being cut to capture 98% of the smoke and dust. Water levels are controlled by compressed air, not pumps. Read here. Green liquid in water is not antifreeze, it’s Liquid Quench. Water table depth… water should be at least 2 1/2″ deep, with water level 0.5 to 1″ below the top of the slats. Fully submerging the slats is done when cutting stainless (if the plasma can cut submerged). Serpentine the slats, or at minimum, give them an arc. Make slats at least 1″ longer than the actual width. Thickness can range from 1/8″, 10ga, 14ga, 18ga (that I’ve seen). Space 3″ between slats. Slat size 3″x 1/8″. Want at least 1/2″ gap between bottom of slats and water table to allow water to flow as it enters / exits the table. 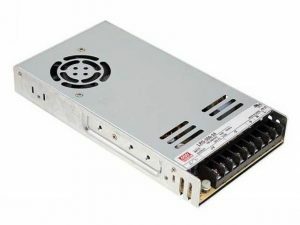 $72.50 per 52″ at CNCRouterParts.com. $55 per 54-5/8″ from here. Exact stepper needed will be calculated once we have the gantry designed.